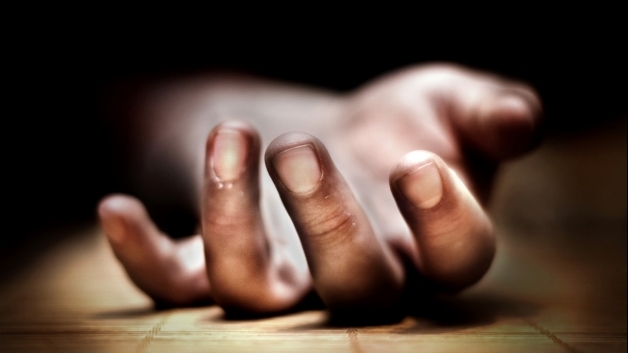 Saint Lucia police are investigating a suspected suicide at Rocky Lane, Dennery, it has been reported. Law enforcement officials have identified the deceased as Gervais Emmanuel, 17. He was found hanging from the ceiling of his bedroom about 3.30 p.m Monday, according to reports. So much hypocrisy here. When rehanni Isidore attempted to commit suicide the media took a while to release his name now a minor’s name is on here mere hours after. Let the police issue a press release. Be sensitive. Fail him in what way? Just asking! However I can give you some reasons why teenagers have been committing suicide in the region lately. Recording themselves with their phone naked or half naked and when it gets in the puplic domain they kill themselves. When their parents take their phone from them they kill themselves. Don’t give them a phone they kill themselves. The comment was correct. They need prayers and God in their life. I can see ignorance in your post. What is wrong with being employed as a security guard? Isn’t it ligitimate employment? My first job was paying $356 a month and I, as a young person,;was extremely happy because I was not dependent upon my parents for all my needs. I no longer work at the establishment and I make a lot more now. I held to the job until I got one that paid more. Burton put a sock in it!! Please refrain from speaking like one of the ignorant people. If you were to carry half of what’s in your enormous backpack in your head you’d be a lot smarter. Youth employment is on the rise. Remember that. They want to get rid of Ojo labs.Farming is getting big but the youth don’t want that. I do not know the guy so I can’t say anything about him but there are more opportunities now than before. He could have gone to the NAPS office in VFort and talk to them. People like him are the freaking problem. Its very sad,to all his friends and family,you all abandoned him? you had no dialogue with him? We need to understand that you have to crawl before you walk. There are people with college degrees making minimum wage in big countries where rent can be $1500 per month and more. Listen up crow! Try to be a good sport! Little more sensitivity could go a long way..no need for attacks on a factual matter. Jazz, just terrain from calling people uneducated as ‘biliterant’ is not a word. I guess you intended to say belligerent . you mean like the ” terrain”? This is heartbreaking a family is a mourning a great loss let’s be sensitive please we never know unless it’s hits close to home for us. May his soul Rest In Peace and to the family maybthe grace of god be with you lean not on your own understanding know that God is in control. So sad whatever he was going thought that make his do such thing , lord have mercy upon his soul. When I read some of these comments I can confirm that St Lucia have more than the 43% of jackasses Chastanet spoke about.. Anyway Kenny could not make us safe he is doing. I feel rely bad for this child bearing in mi d I am a mother as well.it hurts have u seen the letter he post bfuh he did that.we as perents Ned to make time to show our kids love so they dnt feel recentful wen otha people dnt love them.may his soul rest in peace. What if it’s a homicide, what are the facts it’s a suicide? Have any forensic test been done? Very sad news. RIP young man. I see quite a few people bashing Burton and responding with various wages. There are many people who work at these security jobs and that is what can do but is it right to exploit them? In what year was your salary at 400 and 500 dollars. What was the cost of living during that time? I agree there is NOTHING wrong in being a Security Guard or any job for that matter. The point is 4.25 an hour for 12+ hours working, 6 days a week with 1 day off, is modern day slavery!!! You may say well go back to school or get a trade…so how can you do that when you leave home pre dawn and return past 8pm? Now if you are securing someone valuables, ie property, employees etc. and putting your life at risk, shouldn’t you be paid a decent living wage? This is not the fault of the workers, its the outdated Labor Laws and Government who allow foreign and local companies to employ St. Lucians for shameful wages, while the rent rates and cost of living is rising. So spare me the self righteous BS about how much you made back when and where you are now……….. Thank you! Thank you! for your sensible comment. Condolences to the family of the deceased. Too many people jump to conclusions before they are armed with the facts. Stop the speculations and wait for a full report from the relevant authorities. R.i.p young man. I hope society will soon start to pay attention to the issues faving young men. These days mens rights and needs seem to be cast aside in favour of all things feminine. No doubt part of the agenda to destory the functional family unit. Male lives matter. Some young soul dies due to reasons that he alone knows. And we are here already arguing about everything but understanding that people do things for reasons they think are enough to cause their actions. Whether he was gay or not it doesn’t erase the fact that we have a problem with suicide and depression in our small island. That’s what really the true problem. Whoever feels like insulting him or argue over pettiness has failed to understand that this can happen to someone who is close to you, someone you care about about someone you least expect. So judgemental comments are left for the ignorant and insults are reserved for the insensitive infidels who believe they are better than others. The Creator doesn’t hate the person, he hated the sin. When it happens to someone you love, only then can you truly see how this disease has no preference and doesn’t discriminate. A pity, people die and all we can do is offend each other and judge people based on their sexuality. Great minds discuss resolutions, small inferior minds make a mockery of everything. As Salamu Alaikum.